There are 15 product(s) on this page. The Kura is a high output low water content extruded aluminium radiator with 120mm rectangle tubes. 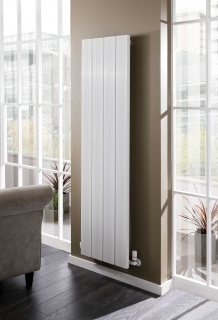 The Radiator Company Kura Horizontal's are available in White, Grey or Black and have two different height options 1575mm & 1825mm. All sizes come with a 5 year warranty.